These QR codes are fully functional except for the following: American Holly, Black Oak, Pitch Pine, Willow, Red Cedar, Dogwood and Tulip Poplar. Catawba students are currently working to solve this problem. Take a walk on the wild side of Egg Harbor Township via the EHT SMART TRAIL Project! No bug spray or sunblock is needed for this walking tour. The map can be accessed from home or at school. With a few simple clicks, visitors will be transported into the Egg Harbor Township Co-designed and created by Egg Harbor Township Catawba Project students and community members, the virtual map of walking trails through the E.H.T. Smart Trail is the first of its kind where students are working side-by-side with municipal leaders, field experts and local environmentalists to provide a walking tour like this one. Who needs a tour guide when you have your Smartphone? Simply scan the QR codes located on the trail sign marker posts that are located along the path and be redirected to a video of EHT students talking about whichever plant, tree, or animal you desire to learn more about. ​Trail markers (QR Codes) like the one on the right tare placed throughout the Egg Harbor Township Nature Reserve. QR Codes are a machine-readable code consisting of an array of black and white squares, typically used for storing URLs or other information for reading the by camera on a smartphone. 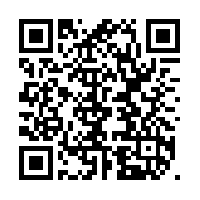 Scan the QR code and enjoy the trees and animals which are apart of our local environment.